Show set to open one hour earlier each day. CHICAGO (July , 22 2014) â€“ The public portion of 2015 Chicago Auto Show will run Saturday, Feb. 14 through Sunday, Feb. 22. Show hours are slightly adjusted. For 2015, the Chicago Auto Show hours will be 9 a.m. to 10 p.m. each day except for the last day when the show opens at 9 a.m. and closes at 8 p.m. Ticket Prices remain unchanged: $12 for adults and $6 for seniors and children age 7-12. Children age 6 and under are admitted free. Special days include Family Day on Feb. 14, Womenâ€™s Day on Feb. 15 and Hispanic Day on Feb. 17. The show’s media preview will be Feb. 11 â€“ 13, and the showâ€™s black-tie benevolent event, First Look for Charity, will be Feb. 13, from 7 â€“ 11 p.m.Â Please visit ChicagoAutoShow.com or Facebook.com/ChicagoAutoShow for more information. BOULDER, COLO. -The annual Shelby American Collection Fundraising Party will be taking place at the Boulder Museum on August 30. The Shelby American Collection will also be raffling off a chance to win a 2014 Shelby Mustang GT500 to support the museum and celebrate the 2014 50th anniversary of the Mustang. Would you be interested in covering this event? You can also bring cars to the event as well. I have attached the official press release as well as the Mustang they will be raffling off. Please let me know if you need any other information. some of the most famous racing cars of the 1960s, has begun selling raffle tickets for a high-odds chance to win a 2014 Shelby Mustang GT500 to support the museum and celebrate the 2014 50th anniversary of the Mustang. not need to be present to win, and can receive one bonus ticket with the purchase of five tickets (now on sale at http://www.shelbymustangraffle.com). visit: www.shelbyamericancollection.org. The charity raffle is conducted pursuant to Raffle License #Â 2014-08078 issued by the Colorado Secretary of State. If you’re on a slow connection, try . We’ve detected a slow Internet connection. To speed things up, . 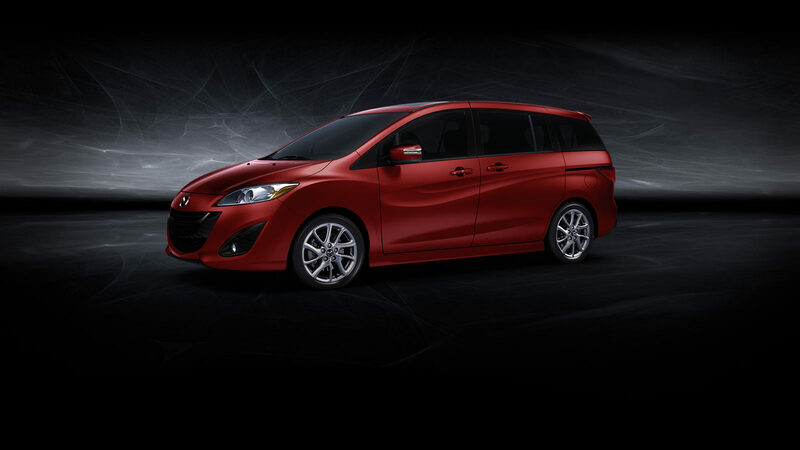 We donâ€™t necessarily automatically refer to the Mazda5 as a minivan, but it really is. Competing with the Honda Odyssey, Toyota Sienna and Chrysler Caravan/Town & Country, it surely must be. 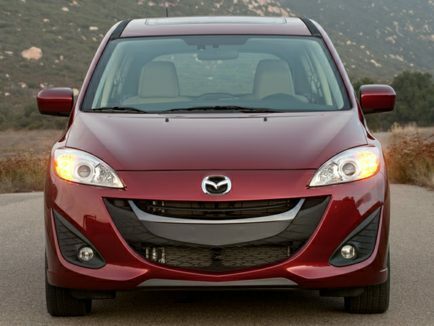 In ways the Mazda5 feels like a minivan, in other ways, not. Mazda prefers to tag it the â€œwagon.â€ Direct competition for the Mazda5 points to the Mini Clubman, Scion xB, Jetta VW Sports Wagon and I suppose, the new Fiat 500L. Unique among todayâ€™s vehicle offering, the Mazda5 rides on a car platform, yet has sliding doors like a traditional minivan. The size of a compact sedan, the Mazda5 easily seats four and can take a fifth passenger, if needed. The second row of seating sports captainâ€™s chairs, proving passengers their own space and some aisle room, to boot. One of the few drawbacks of the Mazda5 would have to be its lack of power. Equipped with a frugal 4-cylinder engine, the Mazda5 gets drivers from A to B, but itâ€™s somewhat hesitant lack of power becomes annoying after awhile. 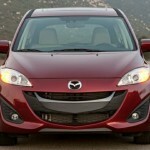 The fact that the Mazda5 is a Mazda, though, assures drivers some fun. Easily maneuvered and driven around town, the Mazda5 makes a great everyday driver. Not only does it provide space for toting goodies, itâ€™s easy to park and offers a pleasing driving experience (translated: not labor-intensive). Other favorable features on the Mazda5 include its good visibility (something sacrificed on a number of vehicles today), ease of driving, a comfortable and spacious second row seating area, and an easy-to-read dash-although not flashy. Available in three trim levels: Sport 4-dr. wagon ($20,140), Touring ($22,270), GT ($24, 670). Our test vehicle, the Grand Touring version, is the top-of-the-line offering and includes automatic transmission, power moonroof and xenon HID headlights. 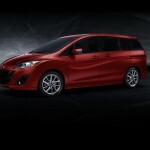 Even at a price of just under $26,000, the Mazda5 comes in at thousands less than the traditional minivans. â€œFunctionalâ€ best describes this capable Mazda wagon; certainly not flashy. The cabin felt somewhat dated-namely, the dash, void of any up-to-date display screen housing a navigation system. The leather-trimmed seating added a nice touch. One sits fairly high in the Mazda5, making for good visibility and accommodating to all manner of drivers: short or tall. The tall rear liftgate is conducive to loading all manner of cargo, is simple to operate. Standard equipment on the Mazda5 includes the usual: cruise, remote keyless entry, tilt/telescoping steering wheel, six-speaker AM/FM/CD system with USB and auxiliary outputs, manual driverâ€™s seat with height adjustment. Our Grand Touring version adds a power moonroof, heated front seats, rain-sensing windshield wipers, leather seating, and driverâ€™s seat lumbar support. Safety features include the usual: ABS, rear backup sensors, Dynamic stability control, traction control, advanced dual-front /side-impact airbags, three-row side impact airbags and tire pressure monitoring system. Potential buyers with children might want to opt for the optional rear-seat DVD system, with 7-inch monitor and two wireless headsets. Other options include remote start and rearview mirror with compass and HomeLink transmitter. Although the base model comes equipped with 5-speed manual transmission, one can upgrade to automatic. Opting for the top-of-line Grand Touring model be prepared to pay close to $26,000; not a small chunk of change. But if buyers are in the market for something dependable, functional and pleasing to drive on a daily basis, the Mazda5 fits the bill. Warranty: 3 yr./36,000-mile back-to-back limited; 5 yr./60,000-mile powertrain limited; 3 yr./36,000-mile 24/7 roadside assistance. Let people know what you’re up to, or share links to photos, videos, and web pages. TIRETRACK.COM. The largest â€˜shoe shopperâ€™ for your vehicle announces results of run-flat comparison tests. The tire tester and seller of tires, wheels and performance accessories published their results of its 19th annual tire testing season: a run-flat tire comparison. The results conclude that advancing tire technologies make it easier for drivers of mainstream vehicles to think about run-flat tires for their vehicles as a replacement option. Minimizing the stress and hassle of fixing a flat, run-flat tires provide a better ride and built-in peace of mind. In the past, run-flat tires have been in limited supply for vehicles with special wheels and suspension tuning, however, the DriveGuard from Bridgestone is now available: The first full line of mass-market replacement run-flat tires available for passenger sedans, coupes and wagons that are not equipped with run-flat technology. DriveGuard is designed to equal or better the ride of any premium vehicle that came from the factory with run-flat tires as original equipment. With run-flats, vehicles can maintain mobility after puncture for up to 50 miles. For cars to be eligible for run-flat tires, they must have a working tire pressure monitoring system, which now represents every passenger vehicle, excluding trucks, vans, since 2008. To access TireRack.comâ€™s full test results go toÂ www.tirerack.com/peaceofmindresults.